Our staff is committed to carrying out the mission of Catholic schools. We are committed to deepening knowledge, honoring individuality, enhancing personal awareness, and fostering strength of character through our commitment to community, compassion, justice, partnership, and truth. Teaching children was my first career, and then I transitioned into the marketing field. I now have the perfect job for me! I spend my days with young learners and dynamic teachers and get to share the wonderful things that are accomplished each day through my marketing position. I have always had a passion for math as well as a love of helping people, and I am lucky to be able to do both in such a special way at ECS. Each day here offers new things for me to learn and opportunities to better the business while also making a positive impact on the students’ lives in any way I can. Every day, I feel fulfilled knowing that with regard to everything I do here, children always come first. Ms. DeMotto’s goal is to emphasize critically engaged learning and reflection with an emphasis on real world literacy skills through culturally relevant experiences and relationships. Her use of restorative justice and social justice practices encourages student communication and voice thus making all forms of participation influential within the classroom space and in the broader community and home in order to promote long-term global citizenship and stewardship. 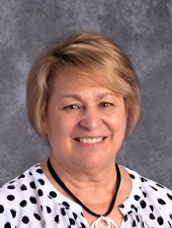 As a Catholic educator, she aims to foster the Sinsinawa Dominican core values of truth, compassion, justice, community, and partnership and highlight their importance in the lives of all students along their individual faith journeys. I didn't start out my college education wanting to teach because I saw so many of my relatives teaching and not being able to spend enough time with their family or accrue monetary reward. Now after some changes in my life, I can't see doing anything else! I love to learn and want to share that learning with others. What most of my students don't know is that I learn more than they do (from and with them)! I teach because I have a basic curiosity to learn more, and I have chosen to work with middle schoolers because they are also very inquisitive-sometimes in strange ways(and want to have fun while learning). Also, what I love about teaching here at ECS is the many multiple connections amongst the 'disciplines' that are made. It's amazing how intuitive other staff members are at connecting to what is going on in other subjects (math, art, language arts, music, etc.). We are a true 'learning' family here at ECS! I went into teaching because I’ve always felt it was an honorable and important profession. After many years of teaching, I still feel that way. It is one way that an individual can have a positive effect on many students. As a teacher, you can and do make a difference in their life. Throughout my years at the Edgewood Campus, I have seen hundreds of young boys and girls grow up and mature into productive men and women. Not many other professions are that rewarding. I teach because I believe that art is for everyone. The act of creating art alone can have many positive effects on the student academically and personally. This thought drives my passion to create art with students of all ages and abilities. I work with my students on the idea that the process is just as important as the product. I want my students to immerse themselves in the process of creating. My classroom is a safe place for students of all ages to learn and express themselves in a fun and positive way. I teach because I love the brilliancy and warmth that is found in the hearts and minds of children. I teach because math is inspiring, beautiful and logical, and math is attainable by all. I teach at a Catholic school because my faith makes my life complete, and ECS gives me the opportunity to live my faith daily. For as far back as I can remember, I always played school and wanted to be the teacher or librarian. I remember sneaking out to the barn where my aunt stored her teacher manuals and reveling in the pages, and trapping my siblings and friends into being my students. I love children, their stories, and their enthusiasm. Mix that with all the things that are school-related and I am in heaven. Seeing that "Aha! I get it!" reaction from students is the icing on the cake. Continuing to work with children, sharing my passion for the written word with them, and guiding them towards their own passion is truly rewarding. I love to see children's excitement for learning and witness their growth in all areas of development. Their excitement excites me! I truly enjoy working with this age level because of their endless enthusiasm and energy level. They keep me on my toes and constantly learning and laughing. I love to offer academic, career, and social advice and guidance to all students. I am always concerned with the feelings of others, especially those of the students. I really like to talk with the students and help them with life’s challenges. My goal is to guide and teach students strategies that can help them to survive and be successful in school or in life. "I believe that all children can be successful at learning. It is a privilege for me to teach children to grow in independence and confidence as they learn. As a teacher, I hope to inspire students to become lifelong learners as well. I feel that encouraging children to interact positively with others is as important as teaching academics. For these reasons, teaching gives me great energy and joy!" Learning something new is amazing. Helping others is even better. Teaching is learning and helping others. I was motivated by teachers and coaches when I was in high school. I admired their passion for their subjects and how much they cared about their students. Seeing how much these teachers helped me and so many of my classmates, I saw how meaningful and rewarding teaching could be. That is why I became a teacher. Now, having taught for some time, I continue teaching because I am inspired by so many people I have had the joy to work with, including students, their families, colleagues, and my peers who I see serving the needs of others, encountering life's challenges with grace and dignity, and making the absolute best of their talents. I teach because I love kids and have a passion for the Spanish language. I teach to help kids find their own passion. I give my students real world experiences with the hope of them loving the Spanish language and choosing to use it outside of the classroom. I teach because it’s incredible to see the growth and intelligence kids experience year to year. I teach to inspire students as they inspire me to be a better person, listener, and think outside of the box. I enjoy the creative energy in my classroom each day and use it to promote a love for learning. As the world is continuously changing and advancing, so is my classroom. Students work collaboratively, use technology, and solve problems as I push for them to be 21st century learners. There are so many aspects of teaching to enjoy. I strive to have an atmosphere that instills a thirst for knowledge and love for math and books. It's very rewarding to have the opportunity to teach, guide, and make a difference. The process of helping students discover their strengths and gain confidence is exciting each and every year. Helping students become better researchers, more critical thinkers, and more confident public speakers is always one of the highlights of my year. I love teaching because is it a true joy to be a student’s advocate and cheerleader when helping him/her realize his/her own potential! There is nothing better than seeing that light-bulb moment when students discover something new. I love fostering children’s creativity, collaboration, and love for lifelong learning.